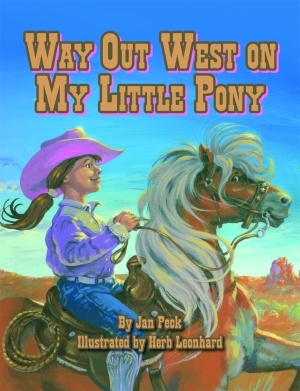 Renowned author Jan Peck and award-winning illustrator Herb Leonhard come together for this Western-inspired children’s book. Written in rhythmic verse and filled with vibrant illustrations, this educational tale is sure to enlighten readers while capturing their imaginations. Jan Peck has fascinated children with stories on a variety of subjects. Her writing has appeared in several children’s magazines, such as Highlights for Children and Humpty Dumpty. She is also the author of Pelican’s Pirate Treasure Hunt! In addition to serving as an active member of the Texas Society of Children’s Book Writers for twenty-five years, Peck is a full-time writer. She lives in Fort Worth, Texas, with her family. Herb Leonhard is the illustrator of Pelican’s St. Patrick and the Three Brave Mice and A Southern Child’s Garden of Verses. His work has also appeared on album covers and calendars and in notable publications such as D Magazine. He earned his BFA in illustration from the Pacific Northwest College of Art and resides in Prosser, Washington.